Coppell Cowboys senior midfielder Wyatt Priest jumps with joy after assisting a goal during the second half of the game on March 30 at John Clark Stadium in Plano. 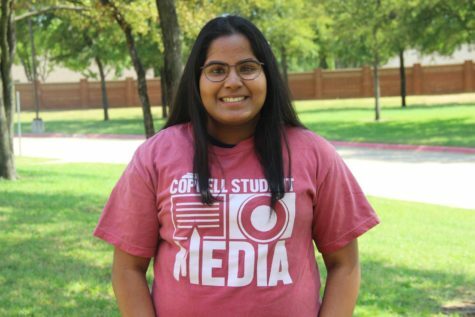 The Coppell Cowboys defeated the Garland Owls, 4-0, in the bi-district round of the Class 6A Region I playoffs. 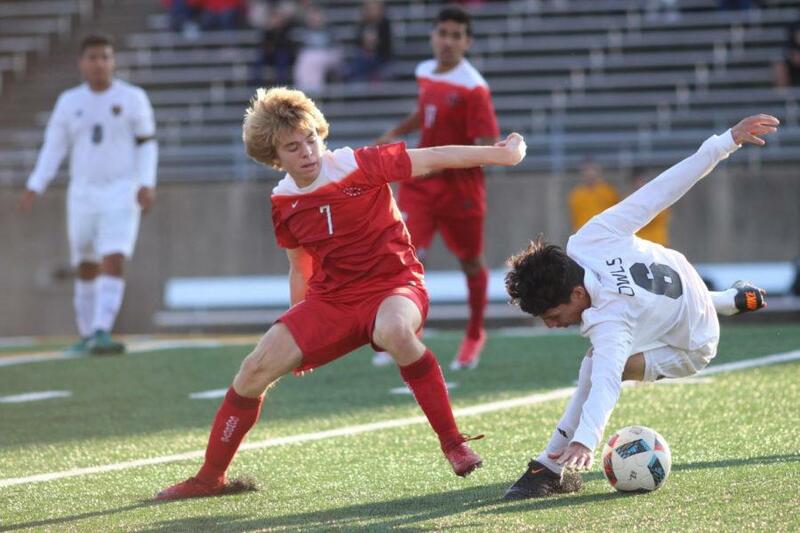 Coppell Cowboys junior defender Blake Bartlett tries to steal the ball from Garland Owls senior defender Juan Ramos during the first half of the game on March 30 at John Clark Stadium in Plano. 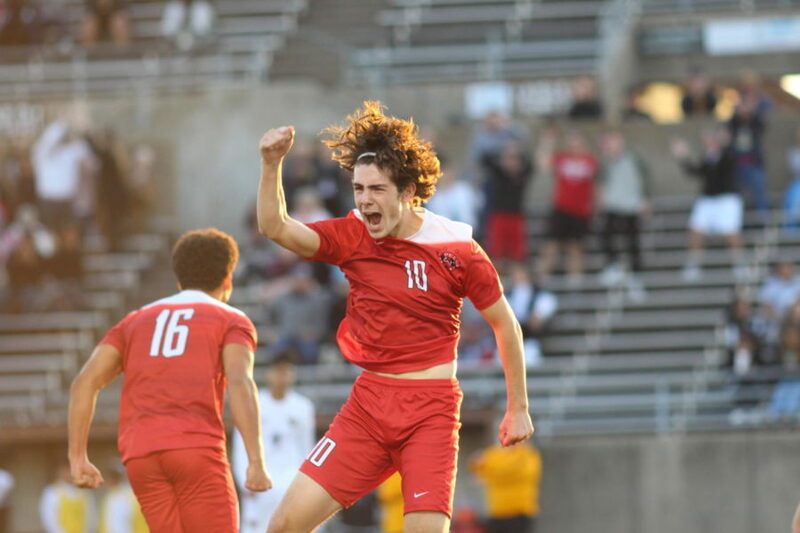 The Coppell Cowboys defeated the Garland Owls, 4-0, in the bi-district round of the Class 6A Region I playoffs.